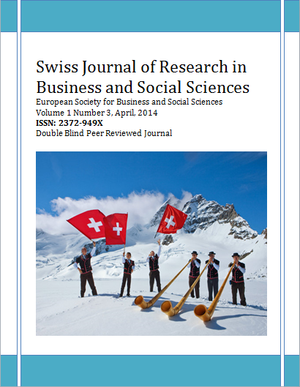 Swiss Journal of Research Business and Social Science (SJRBSS) is an open access, online, peer-reviewed, and refereed journal published by European Society for Business and Social Sciences inRedwood City, CA , USA . The main objective of SJRBSS is to provide an intellectual platform for the international scholars. SJRBSS aims to promote interdisciplinary studies in business and social science and also to become the leading journal in business and social science in the world. The journal publishes research papers in the fields of management, marketing, finance, economics, banking, accounting, human resources management, international business, hotel and tourism, entrepreneurship development, business ethics, international relations, law, development studies, population studies, political science, history, journalism and mass communication, corporate governance, cross-cultural studies, public administration, psychology, philosophy, sociology, women studies, religious studies, social welfare, anthropology, linguistics, education and so on. 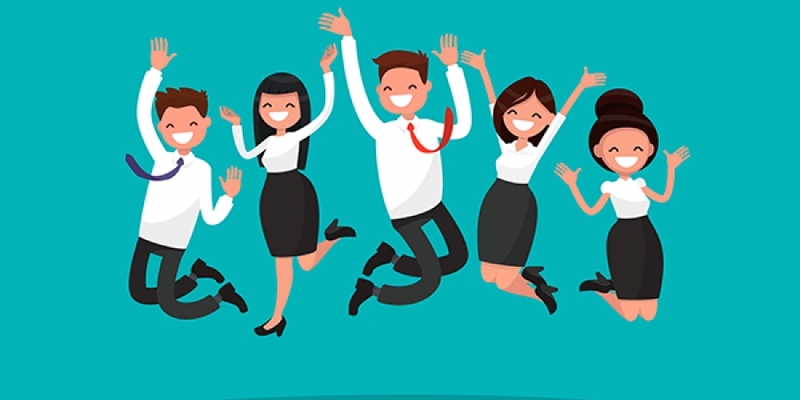 As stated earlier, there is no special emphasis on just one topic but emphasis is given on all the aspects that can be covered in the domain of Business and Social Sciences, so we welcome all the stakeholders of businesses and society to come forward with their new ideas and researches and submit us their articles from anywhere in the world. The name Swiss Journal of Research in Business and Social Sciences does not just restrict our audience from Switzerland only but we are of view that research and knowledge is boundary less and keeping in view that perspective, we would welcome researchers, resource person, students, social scientists and critiques from all over the world. The Swiss Journal of Research in Business and Social Sciences is published only in online format and thus printed version will not be provided to the authors. SJRBSS publishes original papers, review papers, conceptual framework, analytical and simulation models, case studies, empirical research, technical notes, and book reviews. Special Issues devoted to important topics in business and social science will occasionally be published. Business innovation and research strategies, tactics and tools of both theoretical and practical nature are welcome. To make sure that you can receive messages/ e-mails from us, please add “sjrbss.com” domain to your e-mail ‘safe list’. If you do not receive e-mail in inbox, check your “Junk Mail” or “Bulk Mail” folders.